Gary Gladstone, Principal Consultant of Gladstone Consulting, is a Certified Fund Raising Executive with over 25 years of non-profit, corporate, government and volunteer leadership experience. A recipient of the Queen Elizabeth II Diamond Jubilee Medal, Gary is an accomplished executive and results-oriented leader, Gary brings a proven track record of helping organizations achieve or exceed their revenue goals. A seasoned professional, he delivers superior results by building consensus and cultivating effective relationships with multiple stakeholders. Gary uses his experience to build Best Practices for all elements of fundraising, including grant writing, event management, campaign services and government relations. A proud and participating member of the Association of Fundraising Professionals, the Gladstone Consulting Best Practices combine ethics and effectiveness, leading to client results and satisfaction. 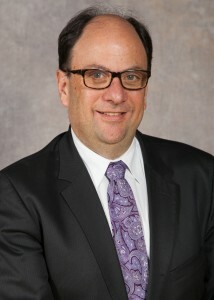 Gary Gladstone has served in senior leadership roles with the Centre for Israel and Jewish Affairs, UJA Federation of Greater Toronto and Regesh Family and Child Services, He has served at the senior leadership level for political campaigns at all levels, including as Director for the David Soknacki (2014) and the Rocco Rossi (2011) mayoral campaigns and for the Joyce Murray and George Takach federal Liberal leadership campaigns. Gary has served as the Regional Lead for the Ontario Justice of the Peace Appointments Advisory Committee since 1997. He has served on the Ontario Trillium Foundation Grant Review Team for York Simcoe from 1999, including chairing the team from 2010 – 2012. Gary and the Gladstone Consulting team bring deep experience in writing and facilitating successful governmental (i.e. Trillium) and non-governmental grants. Gary holds a B. Math degree from the prestigious University of Waterloo. View or download Gary’s resume Resume – Gary Gladstone.